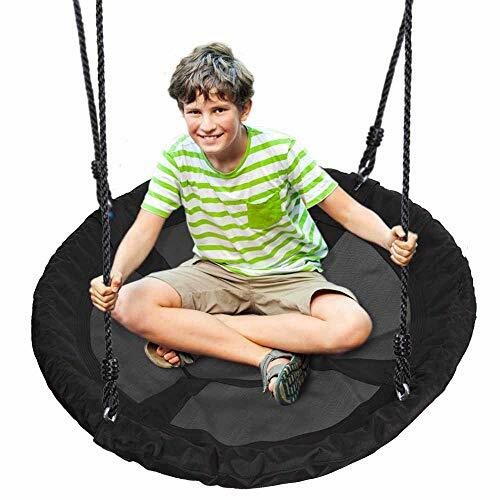 Super Sturdy Construction for Spinning Swing Safety! 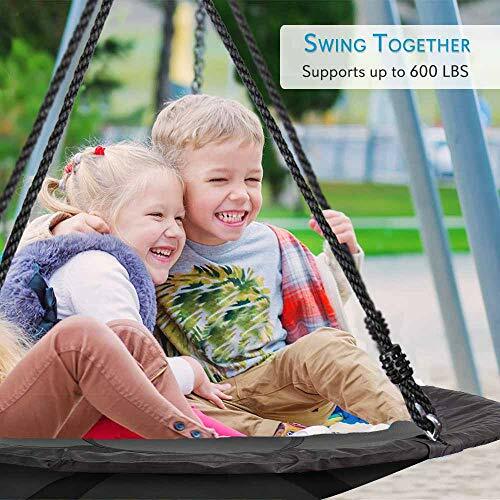 Weight Capacity: Up to 600 lbs. 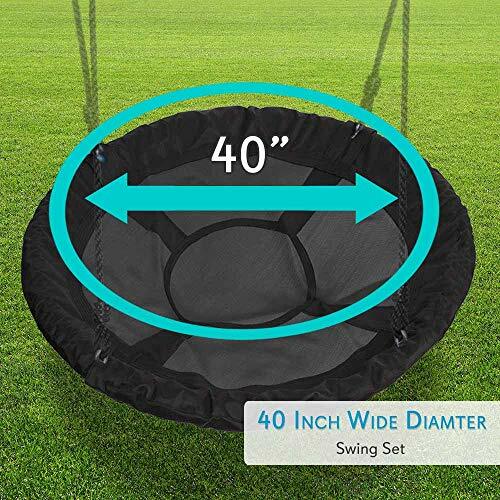 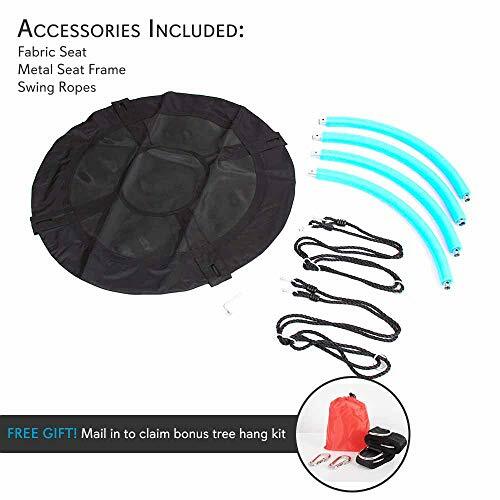 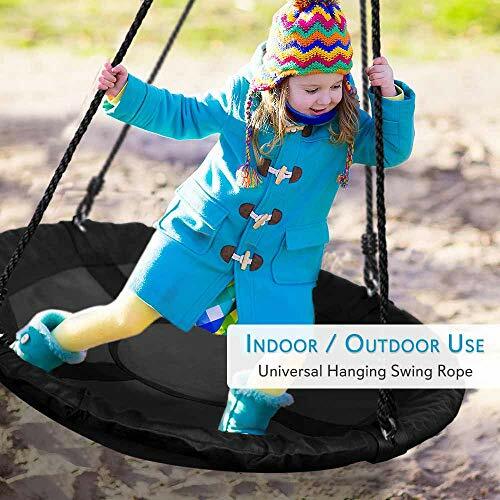 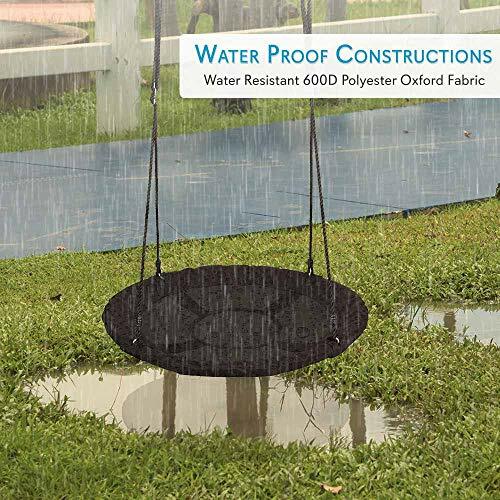 The SereneLife Indoor/Outdoor Fabric Swing for Children with Adjustable Rope and Padded Steel Tube – Black – Large Heavy-Duty 40-Inch Diameter Fabric Swing Base – Set-up Indoor/Outdoor (Requires Assembly) – EPE Foam Padded Steel Tubes Protect Against Pinching – Durable Fabric Cover Provide Comfort and Ventilation – Built-in Steel Hooks for a Safe and Secure Ride – Portable and Easy to Assemble – Large and Comfortable Swing with Adjustable Rope – Perfect for Siting up, Laying on Stomach and Back – Take Your Child to the Next Level for Fun and Excitement – What’s in the Box? 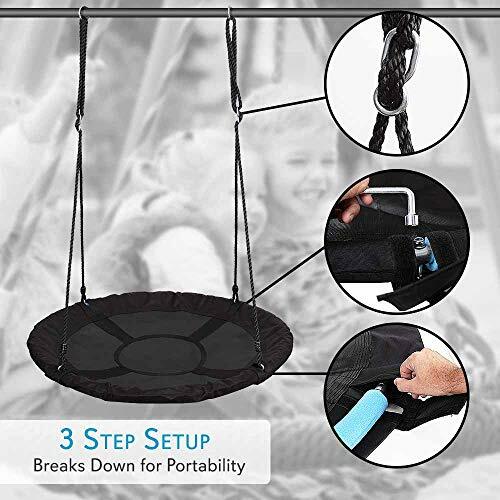 – (4) Curved Steel Tube Sections with Foam Padding – (2) Adjustable Rope – EPE Foam Tube – Swing Base – Mini Wrench – Manual – Specifications.